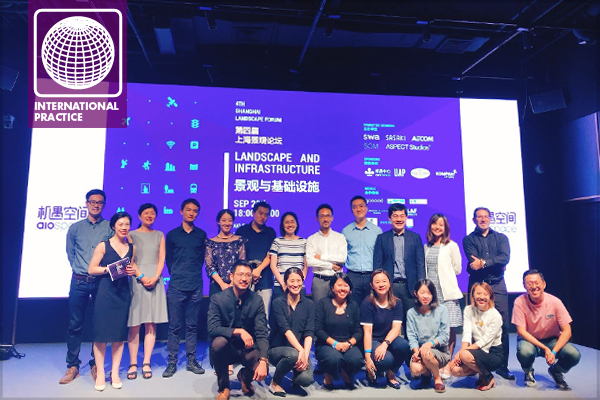 Initiated by Sasaki, AECOM, and SWA, and joined by other leading international landscape architecture practices such as ASPECT Studios and SOM, Shanghai Landscape Forum is now a summit for the international design community in Shanghai, China. 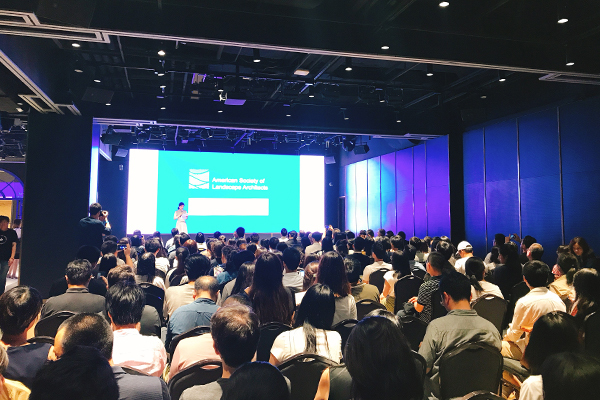 On September 20, 2018, Shanghai Landscape Forum hosted its fourth event at Shanghai AIO Space. Hosted by ASPECT Studios, designers from SOM, ATKINS, Sasaki, SWA, AECOM, and HASSELL presented on and discussed the theme “Landscape and Infrastructure.” The presentations explored topics such as how to integrate infrastructure harmoniously with nature and site, how to make infrastructure work efficiently, and how to improve and bring new life to old infrastructures via creative design principles and pioneering design approaches. The mission of the Forum is to pioneer new practices that result in design innovation and influence policy transformation, raise public awareness of landscape architecture’s vital contributions, and bring landscape architecture into the mainstream by advocating for the profession as a driving force for social progress. The vision of the Forum is to promote the landscape profession and build a more sustainable tomorrow, not only for the world around us, but also for the profession. With the continuous efforts of the committee, the Forum has now successfully organized four events in Shanghai since 2017, with over 700 designers and interested citizens participating. The recent event was covered by 18 design-related media, with coverage viewed more than 15,000 times. The discussions are grounded with both project-based knowledge and practice experience gained in the particular context of China. “What was really fascinating about the conversation is that when you look at the diversity of the geography, from the Gobi Desert to Shenzhen Waterfront…and the diversity of scales, from the old city of Guangzhou, to village and temple…” Mark Dawson, FASLA, Principal at Sasaki, commented. 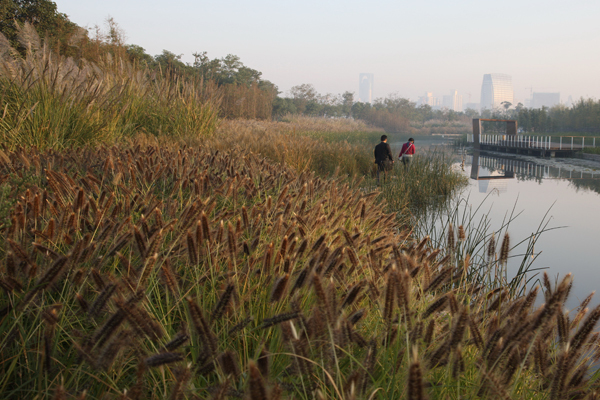 The Shanghai landscape continues to contribute to the conversation of landscape architecture in contemporary China. For more information, please contact the committee through sh-laf@googlegroups.com and join the ongoing discussion through future events. 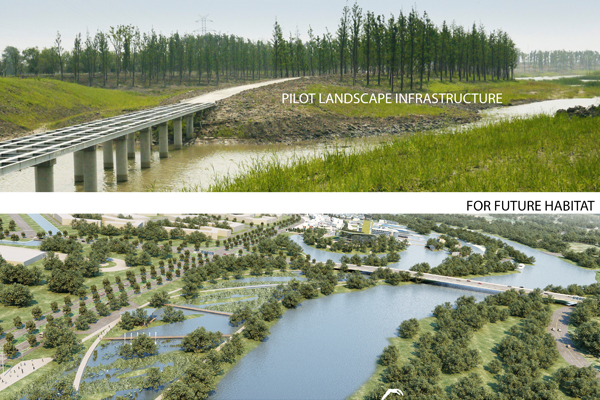 Dou Zhang, ASLA, PLA, LEED AP BD+C, SITES AP, is Senior Associate and Director, Shanghai Office, at Sasaki and Co-Chair of the ASLA International Practice Professional Practice Network (PPN).